Caterpillar first introduced the 992 in 1968. 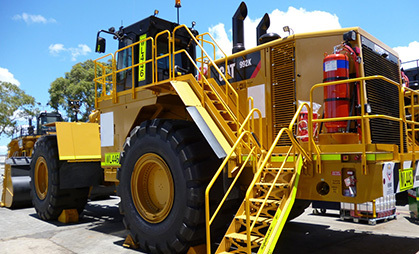 This large wheel loader has been a global leader ever since, building a reputation as a face loader that’s both safe to operate, productive and durable. WPH offers a complete plant hire service including quality equipment, skilled operators and an experienced Management Team. WPH has this Caterpillar 992K Wheel Loader available for hire nationwide.